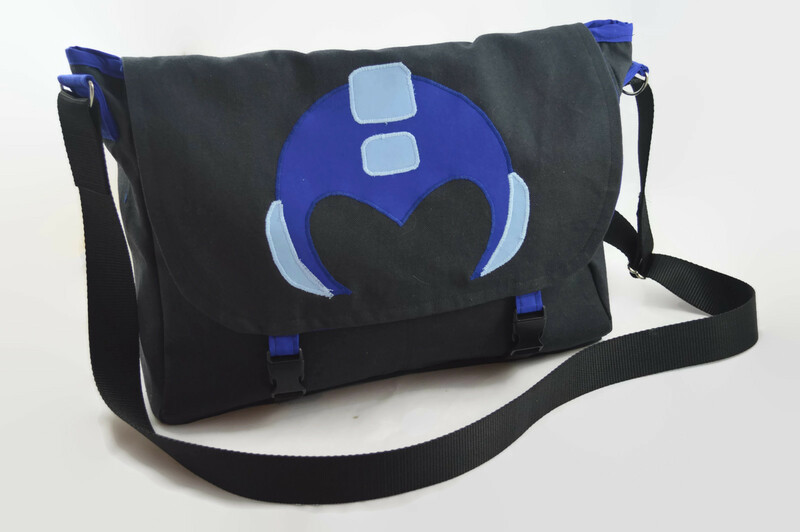 Black messenger bag with minimalist Megaman applique. 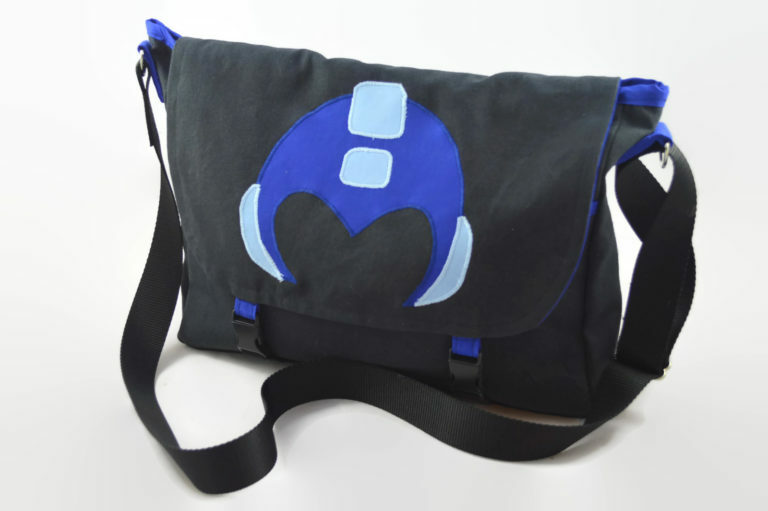 A friend recently commissioned me to make him a custom laptop bag with a Megaman theme. This is the result! 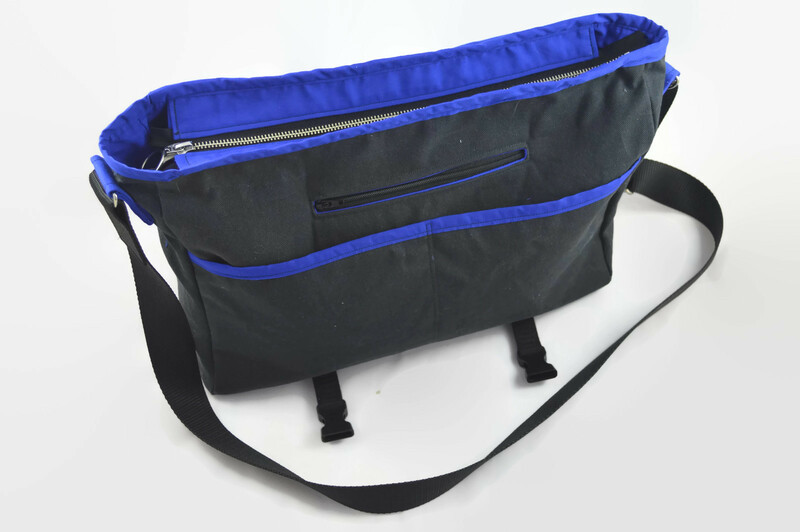 It’s VERY loosely based on the Campfire Messenger bag pattern that I have used before. 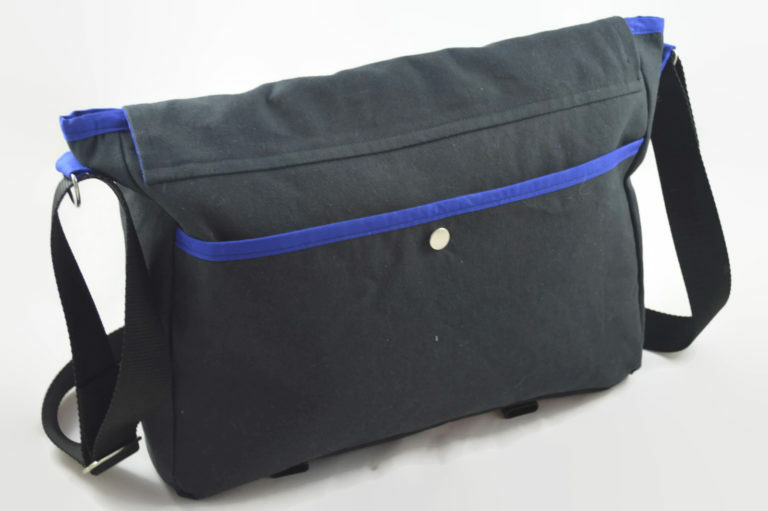 It’s been widened enough to fit a 13″ laptop; I added a padded laptop pocket; the closures and front pockets are quite different. It’s made of black cotton duck canvas and quilting cotton lining. There’s both a zipper top and plastic buckles for the closure (what are these buckles called? Side buckles?). 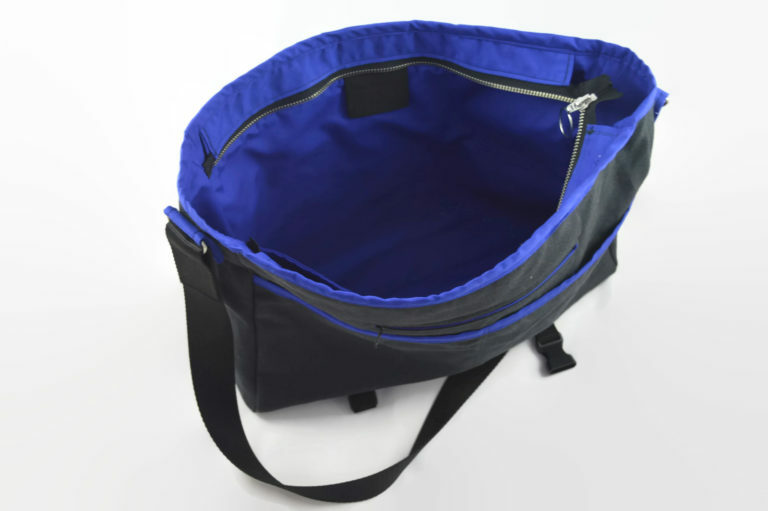 The lower buckles are attached with wide elastic so that they can still be fastened even if the bag is stuffed completely full. The best part is the Megaman helmet applique on the flap. It’s based on a t-shirt design I found online. You know a character design is good when it’s this minimalist and still completely recognizable. This bag was a lot of fun to make, and my friend was really happy with it! That’s always the best feeling.